Home Education Do Test Prep Services Really Work? Do Test Prep Services Really Work? : Do you remember that student in high school who always seemed like he or she never had to study for a standardized test? “The correct answers just come firsthand,” would be his or her response when you’d inquire about being the only one not having to cram at the last-minute. Sure, this type of student will always be in existence, someone who has a natural predilection for high scoring exam success. But that type of student doesn’t apply to everyone. For the vast majority of students and test-takers, studying is truly key. But just how important is it, really? In a time where information is rampant and some schools employ test-optional policies, it begs the question: Are test prep services really efficient? For many prospective test-takers, the prospect of higher test scores through “inside” effective techniques is the main reason for enrolling in a rigorous prep course. Of course, while some may have natural inclinations to do well on exercises such as multiple choice, what distinguishes a good scorer from a great scorer is that enhanced, top tier composite number. For the GRE, for instance, the proven tip of eliminating answer choices or mapping a reading comprehension passage can increase a score dramatically. How else will you know how to do so unless under the expert guidance of a knowledgeable GRE instructor? When it comes to the SAT—how else will you effectively fill in content gaps, memorize vital formulas, and learn how to skim dense reading passages optimally? While the majority of these strategies are available online, mere exposure to them isn’t enough. Expert guidance, expert insight, even expert firsthand test experience is crucial in attaining the high score you need. Thankfully, one of the best advantages of test prep can be learning these frontwards and backwards to implement on exam day. Who else knows the format and structure of a given standardized test than someone who has studied and taught it for countless years? 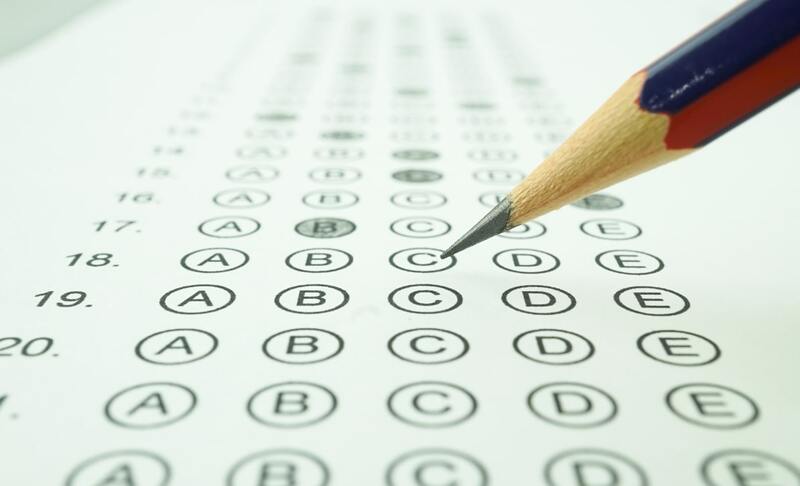 Let’s admit it—not everyone knows about the SAT, ACT, GMAT, GRE, and even LSAT. Sure, the bulk of college-educated people might know what they refer to, but where else can you go to learn the essential exam day tips you desperately need for a high score? Enrolling in a test prep course—either online or in-person—can yield many benefits, but a primary one is of course learning what to anticipate when you sit for the real thing. In addition to the structure and format, an informed instructor can keep you up-to-date on recent exam changes and alterations that could affect you and your score. When you learn about the test and all it consists of, you walk away with a self-assuredness and confidence unattainable from any other means. More than likely, your test prep instructor will have taken the given exam more than once and aided countless other students like you. What more can you ask for when walking through that classroom door—digital or physical—your first day? While not common in all industries and sectors, some potential employers may inquire in an interview process about GRE, LSAT, or GMAT scores. This is more widespread when it comes to occupations in the world of finance, where a boss may ask about a Quant GMAT score. Naturally, this is all dependent on a particular employer and arena; for instance, a fashion company won’t have direct interest in your math scores. But many graduates boast their impressive standardized test results on their CVs. Why? Well, for many, it’s a positive talking point that can reveal an academic prowess, natural ability to work well under pressure, and just plain old determination. Many scholarships, both in the undergraduate, graduate, and post-graduate level rely on standardized exams as a means for determining merit scholarships or financial aid. For example, the National Merit Scholarship Program consists of $2,500 to undergraduate students nationwide that’s based on a student’s PSAT/NMSQT score. The Mizzou Scholars Award at the University of Missouri is an amazing opportunity, giving out $10,000 per year to qualified students who have an ACT score minimum of 33 or a 1490 or higher SAT. Clearly, when schools and departments are awarding merit scholarships, they want the best performance history of student performance possible. Standardized test prep can surely help in attaining those much-needed strategies to quality for some of these incredible opportunities. While some may believe the benefits of quality test prep instruction end after you walk away with your aspirational score, this couldn’t be farther from the truth. Just think of all the good applicable test day techniques can do when applied to other important exams in the future. For many, their SAT, ACT, GRE, or GMAT isn’t the final test they will ever take in their academic or professional careers. Some employers might insist on various exams as a means of hiring and even for promotional purposes. While no test tests are similar, it would be foolish to think the techniques and strategies learned for one wouldn’t be directly pertinent to another. In the end, test prep isn’t a means to an end; test prep can give way to fulfilling rewards far down the line for the future. Whether it’s for advanced degrees or pre-employment testing, test day techniques are highly useful. As you can see, the advantages of test prep far outweigh the seemingly negative ones money and time. These scores, no matter what exam you’re aiming for, are all gateways—open doors, really, that bridge your life as it is now with the potential of your exciting future. Rest assured all your hard work and countless hours of studying will not dissipate the moment you gain admittance to the school of your dreams. Clearly, these scores are as vital as your own aspirations, with advantages and benefits that continue to play out throughout the course of your professional life.